In 2018, social media for medical practices means taking advantage of Facebook and Instagram to increase your prospective patient audience. These platforms have evolved in 2017 and are now providing deeper, richer targeting, and now represent 20% of all internet search traffic (second only to Google at 70%). Promoting your healthcare practice online through social media is one of the many ways providers are exposing themselves to more patients. Facebook reported 40 billion dollars in advertising revenue in 2017 – and – if you used Facebook last year, you know the 49% increase from 2016 also meant decreased effectiveness in the form of organic posting. Facebook and Instagram have changed rapidly during the past 2 years. 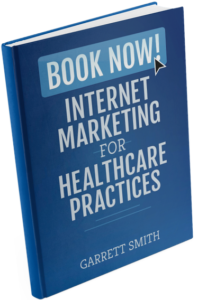 Healthcare clinics who use these two platforms have access to powerful tools to promote themselves to prospective patients. So how do they use this? Successful medical practices understand that not everyone needs to be a YouTube star or have a million likes, but they do stay current with changes and use them to their advantage. Organic Social Media Posts in Healthcare for 2018…. Should be posted 2-3 times per week from a preset quarterly pack of 20-30 messages rotated regularly. Rarely cause a direct new patient conversion. Include content that promotes you from other channels: This might be video from a local news channel interview, or a tour of their practice on YouTube. Should create a memorable impression. For example, ‘cards’ (images with text overlayed) present a visual, which is easier to remember. Are unified around a single quarterly or yearly slogan or brand strategy. Take advantage of extreme targeting, and low prices. Facebook Ad targeting is far more powerful than Google Adwords. Reflect patient demographics: Don’t take insurance? Make sure you’ve restricted facebook’s audience by $150,000+ household income. Use effective copy. With limited room for words it’s important to use copy your prospective patient can immediately identify with. Include an ROI. How much is a patient worth? You can easily understand your ROI using paid advertising by examining your monthly spend, versus monthly new patients. Work. Unlike organic posts, paid advertising often results in many new patient appointments, and can easily be audited for performance. Facebook Business allows you to set up a Business Page or Create Ads. The interface recently changed and like any online tool, it takes some getting used to, as it’s not always intuitive. Facebook’s system takes 48-72 hours to ramp up and expand across it’s audience. Narrow your audience within Facebook to decrease your daily spend using a incredibly deep set of data. You can boost a post from your Facebook Business page in Ads Manager/Power editor and include placement in Instagram. Instagram Business also allows you to setup a Business Profile or Create Ads. Facebook acquired Instagram in 2012, the platform allows for a diverse set of visual ads, and can be leveraged by your Facebook Advertising campaign. Be sure to ask yourself; Why are you using Instagram? Medical practices that don’t provide aesthetic or evident changes (dermatologist, dental, fertility clinics, for example) may not be missing an audience on Instagram. Successful Instagram Advertising us almost exclusively dependent upon high quality images and video. Do you have these? Or the ability to easily create them? Once you’re confident with your targeting on these platforms, continue to review your advertising campaigns. You will often find that the proposition on the advertisement fails to align with the landing page or audience. It’s an art to get right. What social networks should I be using to promote my practice? What Should Healthcare Providers Post on Their Facebook Page?